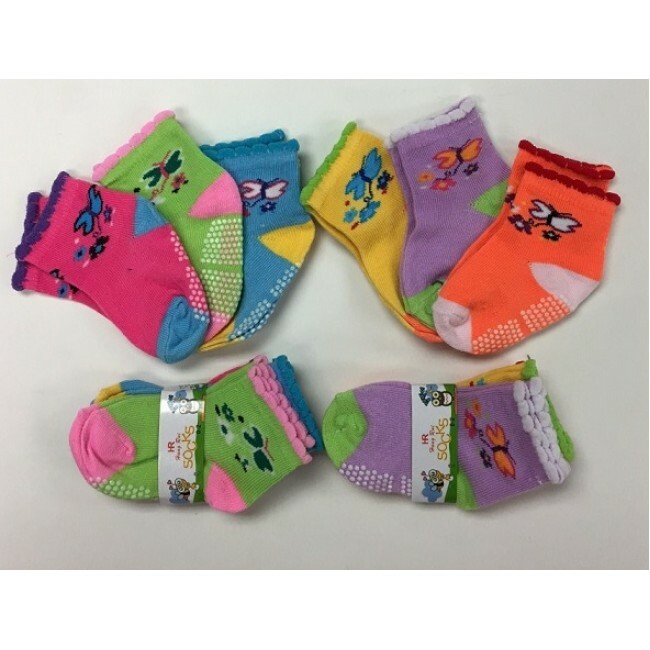 0-2 Girls Socks $5.50 Each Dz. 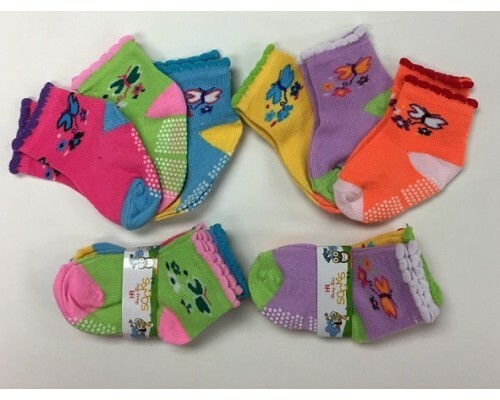 Little girls will love these wholesale socks with butterflies on them! They will look super cute toddling around the house. These wholesale socks have just enough sass that they might become your little one’s new favorite pair. Machine Wash Warm, !!!!! DO NOT BLEACH !!!! !